Guitars made during that time were made from old growth wood, the kind that doesn’t really exist anymore, which many feel accounts for much of the “X Factor” people seek in older instruments. They were also made with much more hand work and in lower quantities than guitars are made in these days. Finally, these were the instruments played by the people who developed the musical styles we have come to know and love, as they were the only ones available at the time. Sure, there were good ones and band ones coming out of the guitar factories back then just like now, but, if you ever get your hands on one of the good ones, you start to understand a bit about why people seek this stuff out. What I personally don’t understand is the increasing fervor and prices of post-1970 guitars and basses. 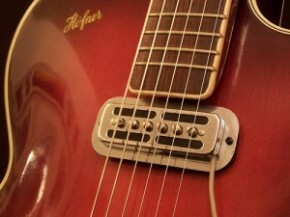 As the 1970’s progressed, many of the things that made the older guitars important were lost to corporate buyouts, a push for quantity over quality, and a general decline in American industry. Add in the availability of imported guitars that were being built better with each passing year, and it is easy to understand the decline of our beloved guitar companies. The sick thing is these guitars are now starting to command prices that were unthinkable 15 or 20 years ago. When I first started doing guitar shows in the early 1990’s, prices on the good stuff were still fairly reasonable so no one much cared about 70’s axes. We would routinely laugh guys out of our booth at the shows with their 1979 Strats that were only going for $500 or $600. Now, due to incredibly inflated prices on real ‘vintage’ instruments (30 grand for a guitar? Really? 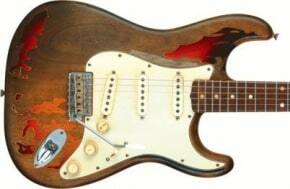 ), that same ’79 Strat is going $1500 or more. The funny thing is it’s still the same instrument that it was when it was less than half the price, with the same 3-bolt design, thick poly finish, and a too-heavy body. 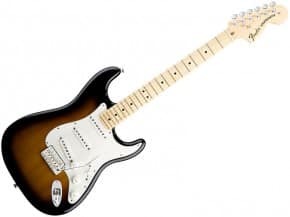 The late 1970’s was the low ebb of American guitar production and, while there are some that are good players, generally guitars from this period are the lowest quality instruments built in the 20th century and have very little in common with the guitars that made companies like Fender and Gibson great other than the name on the headstock. This very thing, more than any other factors, made players start to buy up older guitars as they knew the older ones were better even then. 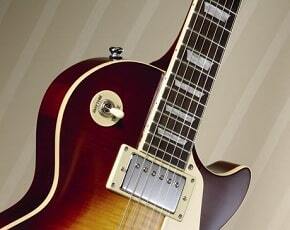 Folks, it’s time to wake up: these guitars are not ‘vintage’: they are just plain old. They don’t represent anything positive in the companies that made them and they are certainly not worth paying large amounts of money for. Even the real-deal guitars aren’t worth what is being asked for them anymore, but that is a whole ‘nother article. 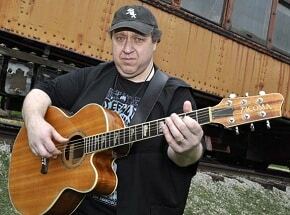 The tones, sounds, and music that many guitar buyers are trying to recapture from the good old days were really more about those who were playing them than the guitars themselves and, while tone-chasing is a noble, though often misguided pursuit, paying a couple grand for a guitar made 20 years or more after the real lightning struck isn’t going to get you there. The real magic comes from people and their talent, not some un-attainable year of production. Plus, there are tons of great guitars being made today that are far better than their late ‘70’s counterparts. 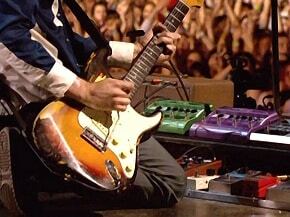 I, personally, would take a new G&L Legacy over any 1978 Strat on the market. There is nothing wrong with collecting guitars and buying what is personally meaningful to you. All I would advise against is over-paying for an as-close-as-I-can-get guitar that never had the magic in the first place. @ Chris, acoustics are a different kettle of fish! And age it self, dried out sap and much lighter between the wood fibres/grain. Naturally, it’s going to resonate FAR more and better than a new Martin, made from plantation woods and probably still too GREEN for guitar building! 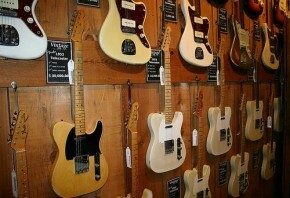 This article was more geared to ELECTRIC guitars! I have a vintage ’68 Hagstrom II that plays as well as anything made today. There really is a difference between old and new Hagstroms, since the old ones were made in Sweden. Swedish production ended in ’83, and the new ones are made in China, except for the Northen Swedes, which are made in the Czech Republic. I have a 78 Strat. In also have a 96 strat. Both are american made. I accept your argument respecting build quality. The bridge on the 78 is installed slightly crooked. As far as quality of tone the 78 blows the 96 out of the water. The pick ups in 78 have a more mellow over wound type tone when compared to 90’s and later models. I disagree with your contention about old growth wood or 3 bolt necks blah blah blah. As guitars age they go through phases. The wood changes and the tone changes. In most cases it seems the older the wood the better the tone. 70’s vintage built guitars are reaching the point in this process that they are catching up with their 50’snd 60’s cousins. I don’t care what “collectors” think. The value of a guitar is in the tone not the so called collectable value. Yes it’s the same guitar, it just sound a whole lot better then it did 40 years ago.